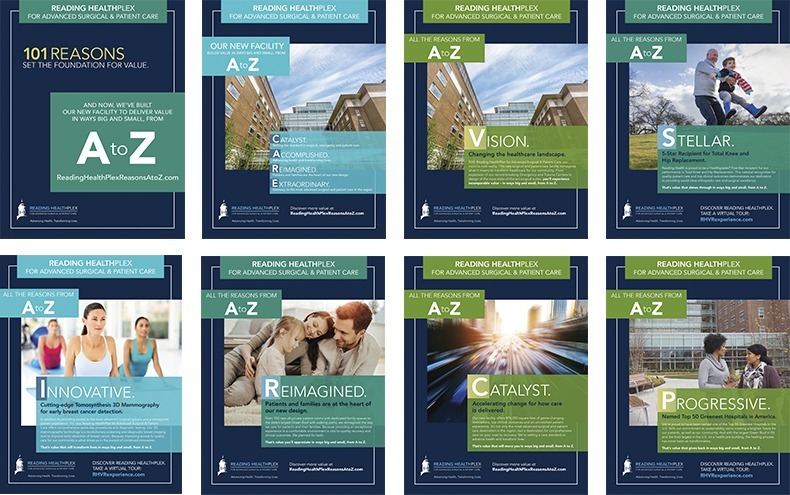 Create a launch marketing plan and program that captures the excitement of HealthPlex and transforms perceptions about Reading Health System’s delivery of care. 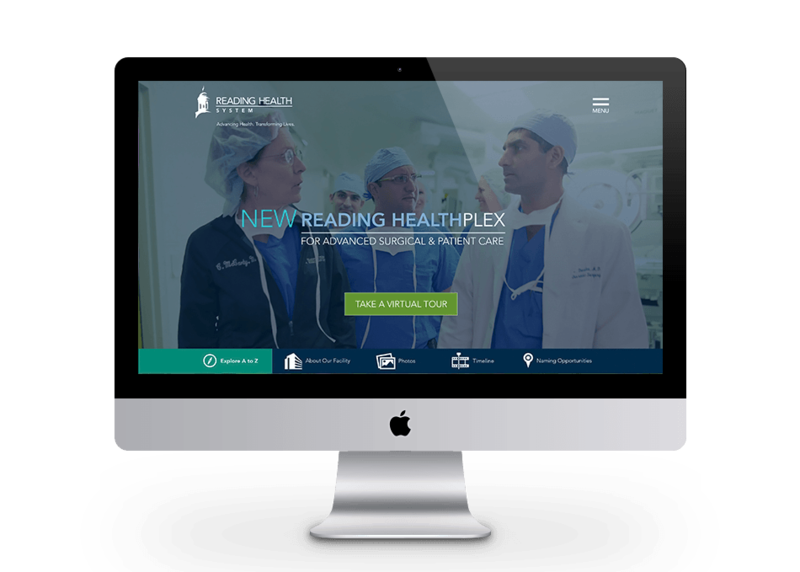 The new Reading HealthPlex for Advanced Surgical & Patient Care is one of the most sophisticated, technologically advanced surgical and outpatient facilities in the Northeast. It is the physical embodiment of “value” brought to life for Reading’s communities. Interactive and responsive, lets audiences view construction progress, take a virtual tour, explore all of their healthcare benefits from A to Z. Extensive print campaign, along with four TV commercials, reinforcing all of the benefits from A to Z. Click on gallery to view each of the print ads. We created a fully immersive Virtual Reality experience unveiled at a series of Grand Opening Events. If you have a set of google cardboard glasses click here to enjoy the 360 Degree Virtual Experience. Must launch on youtube app. 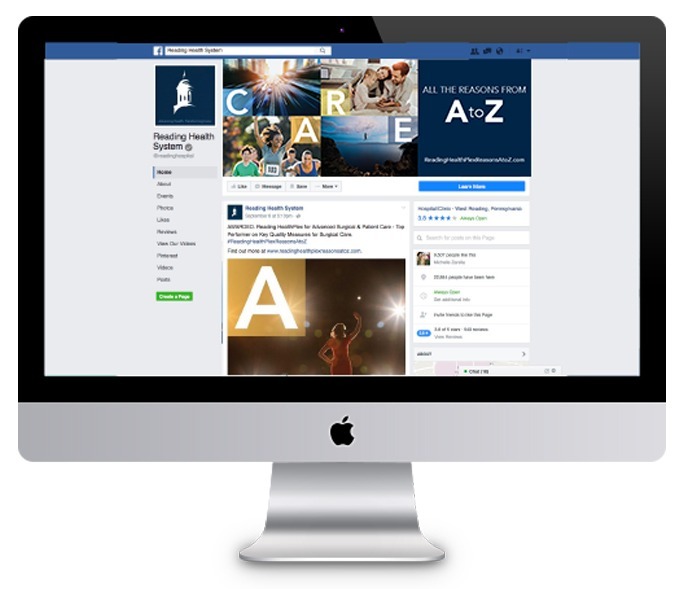 An integrated program across Facebook, Twitter, Instagram and YouTube. Campaign contributed to a 9% system-wide volume gain and an uptick in awareness. Other measures included patient tracking, physician and medical practitioner utilization, key stakeholder and influencers support (e.g. donations, promotion, participation) and microsite performance (users, sessions, page views, CTA testing, etc.). Note: Our Virtual Reality Program for this initiative received a GOLD award from national industry-leading healthcare marketing awards competition Aster Awards.